Canadians have many reasons to celebrate as their nation turns 148 years old tomorrow. They can even feel a bit of pride in an area that normally provides a healthy dose of shame in the headlines: personal finance. Let's take a look at a list of Canadian financial accomplishments along with lessons we can use to help us become the True North, Strong and Debt-Free. Canadians have many reasons to celebrate as their nation turns 148 years old tomorrow. They can even feel a bit of pride in an area that normally provides a healthy dose of shame in the headlines: personal finance. Yes, household debt levels are as high as the CN Tower and the saving rate is lower than low-tide at the Hopewell Rocks. There is no shortage of doom-and-gloom when talking about the debt situation in Canada. Despite this, I'd like Canadians to look on the bright side and take stock of the good financial moves they have made. Of course we sound the alarms when we see high debt levels because there are important lessons to be learned. But there are also valuable lessons to be learned by acknowledging the many great choices Canadians are making with their finances. 1. 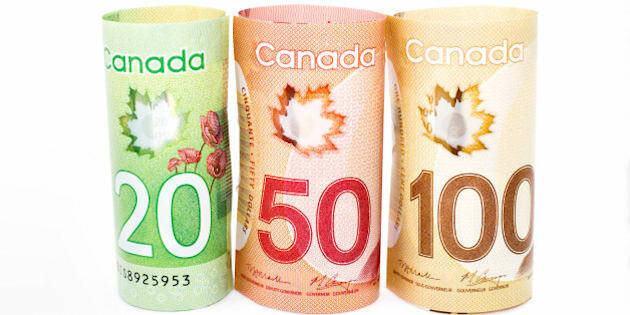 We're saving our loonies -- Mintel released a survey in June which stated that Canadians are planning to take more of a conservative approach to spending. More than one-third (34 per cent) of respondents said they will use extra money to repay debts, making it the top priority for extra cash. The lesson: Don't just use "leftover" money for debt repayment, because some months there might not be anything leftover. Make sure you dedicate room in your budget for debt repayment, or better yet, get your bank to automatically deduct it every payday. 2. Debt levels are making like the Prairies -- Charts that follow non-mortgage debt levels usually resemble the Rocky Mountains, but lately, they're flattening out to Prairie level. While Equifax's most recent quarterly report on non-mortgage debt levels in Canada shows a year-over-year increase, compared to last quarter, things are leveling out -- most major cities are seeing slight drops. Are we turning a corner? The lesson: This could be an example of Canadians seeing the warning signs and making adjustments. The same should be applied in our individual lives -- regularly take stock of your finances, and adjust where you need to. Face the facts and take action; don't bury your head in the sand. 3. We can win in OT -- Contrary to the popular belief that Canadians aren't saving enough for retirement, a recent study from the C.D. Howe Institute says we are doing just fine, and reports of under-saving "rely on faulty assumptions, questionable numbers and ignore the diversity of individual retirement goals." The lesson: Any retirement savings plan is better than no plan at all. Start with small, regular contributions. The sooner you begin your retirement savings, the better chance you will have at hitting your goal. 4. Our politeness extends to bills -- Canadians pay their bills on time. A recent report from Equifax shows that the national 90+ day delinquency rate has consistently decreased over the last three years, meaning Canadians are helping to protect their credit score with timely payments. The lesson: I applaud the resolve to pay bills on time, and I encourage Canadians to take it one step further. Don't just pay on time; pay extra each month and get out of debt faster. 5. 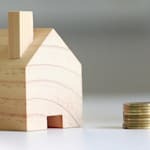 We live in igloos of gold -- Statistics Canada recently reported that Canadian net worth saw an average jump of 73 per cent between 1999 and 2012, with half of the increase owing to the real estate market. The lesson: Remember that your home is not a liquid asset. You can feel good about a rise in your net worth, but don't treat it as an excuse to spend. Housing values rise and fall and you need to be careful about leveraging the place you call home.